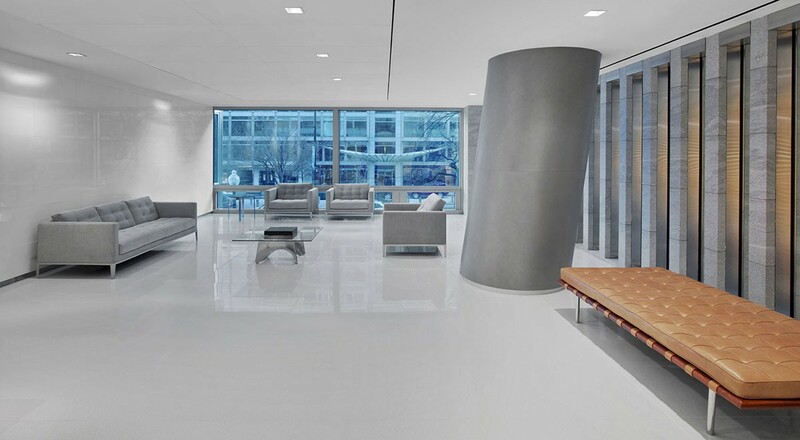 Metallic leather-wrapped columns are featured at Arent Fox, a 300-person law firm and lobbying group in Washington DC, designed by STUDIOS Architecture. 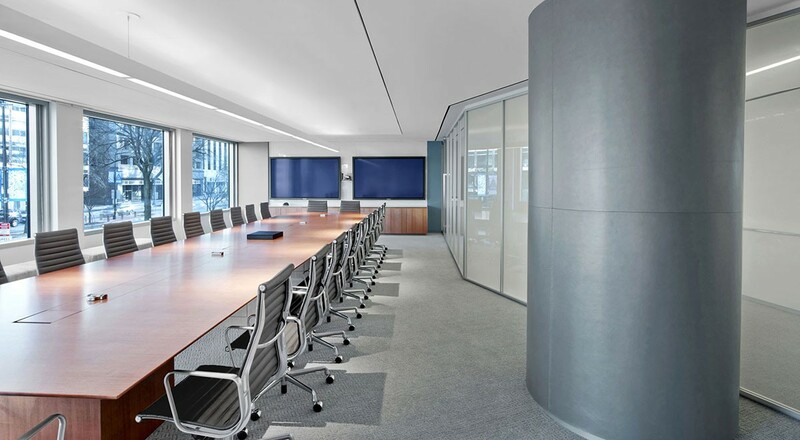 The offices bring together a variety of program elements in a cohesive, yet mostly open office environment. Eleven columns are wrapped in metallic Portofino with each featuring a slight varied angle. Each column includes a horizontal “invisible” stitch and a vertical baseball stitch in a matching thread. 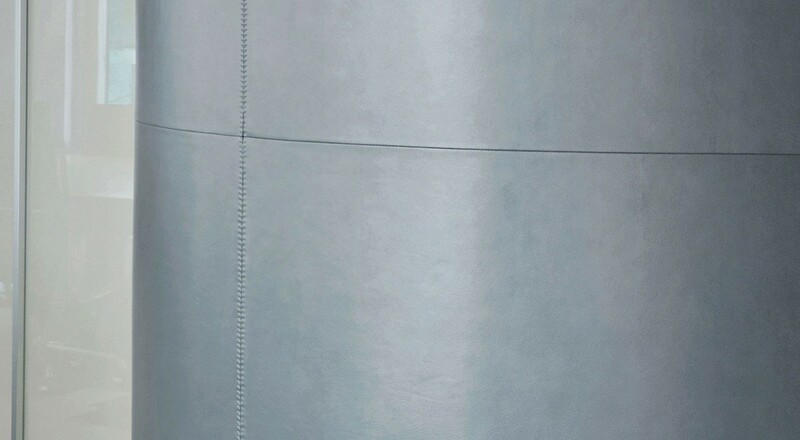 Due to the complexity of the project, the leather was wrapped, stitched, and adhered on site by Spinneybeck’s fabrication and installation team. And the project is featured in the June 2013 issue of Interior Design. For more information, please visit the About Custom and Portofino (PT) product pages.